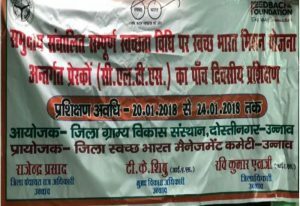 Training of Motivators (ToM) on Community Led Total Sanitation (CLTS)/ Community Approaches to Sanitation (CAS) was facilitated by Feedback Foundation at Unnao, Uttar Pradesh from 20-24 Jan, 2018. 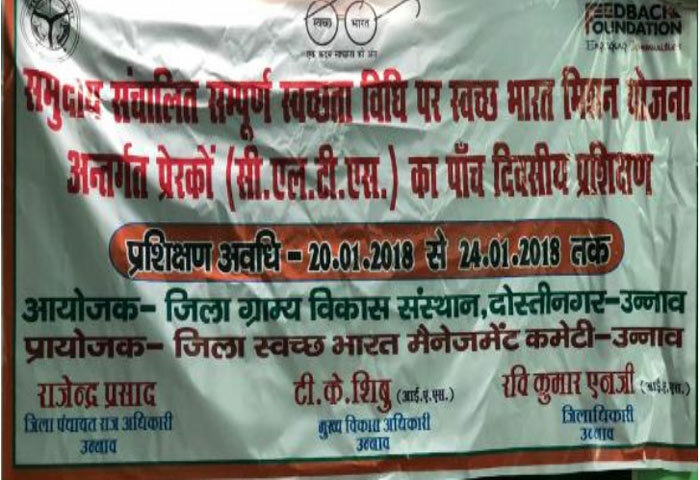 This workshop was organized by the District Rural Development Agency, Dostinagar, Unnao and was attended by 44 motivators selected by different blocks of the district. The workshop aimed to create a critical and sensitive resource pool to augment and accelerate the implementation of SBM (G) in the district.